The following article details the history of fireworks and the amazing story of a man known as Friar Roger Bacon. Since the beginning of recorded time, there have been inventions and discoveries that has altered the course of human history. How different would the world be today without the inventions of the automobile, the airplane, or even the Internet. This list goes on and on. However, there is one invention from ancient times that is shrouded in myth and mystery. Even from its early beginnings, attempts were made to keep this ancient discovery a secret. This ancient invention was gunpowder. The history of is parallel to the history of fireworks, and both are filled with espionage, secret codes, and betrayal. Gunpowder is one of the few inventions that not only changed the course of human history, but its own history reads as if it came directly from the pages of a Dan Brown novel. Even though gunpowder has evolved through the centuries to it modern-day version, tracing its evolution is a difficult task. The history of fireworks and the subsequent discovery of gunpowder can not really be contributed to one man. However, one of the major players in the discovery and even refinement of gunpowder is Roger Bacon. 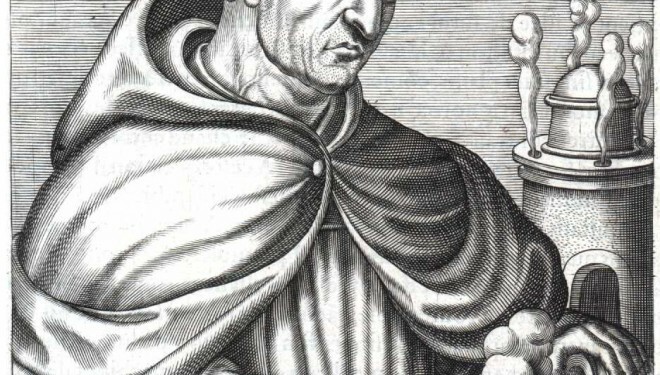 This Franciscan Friar as one of the earliest European advocates of the modern scientific method inspired by the works of Plato and Aristotle. This use of the modern scientific method led to various discoveries concerning a previously known substance typically used in fireworks. This substance was undoubtedly the Chinese recipe for for the powder used in fireworks. 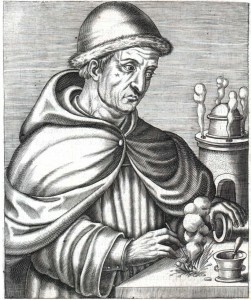 Apparently, through his use of the scientific method, Bacon was able to refine this previously known recipe for fireworks into a new form that resulted in a much more advanced composition – gunpowder. This new composition created a gunpowder that could be used for making more than just noise and flashes. He wrote that this new composition could be used for either diversionary tactics or even for blowing up adversaries. These obvious uses for gunpowder were clear to Bacon, but it does not appear that he realized its effective use as a propellant. Recognizing the dangers of this composition, Roger Bacon decided to keep the discovery a secret. To do so, he coded it into his De mirabili potestate artis et naturae. At first glance, chapters 9, 10, and 11 appear to be nonsense and almost incoherent rambling. However, a closer look at these chapters reveal the anagrams Bacon used to code the recipe. Therefore, it is possible that maybe the anagram was not the only code embedded in Bacon’s writing. A major advocate of Bacon’s work was Lieutenant-Colonel H. W. L. Hime. He was a Royal Engineers officer and later became a prominent politician in Natal, a British colony in south-eastern Africa. Hime is also the author of several books on the subject of military and warfare. The history of fireworks and gunpowder is filled with mystery and intrigue. There are not many other inventions that have change the face of human history and are shrouded in as much myth as the flashy and explosive substance known as gunpowder.